Karen of Round Robin Photo Challenges has invited us to post about END OF SUMMER. This is a shed in my neighborhood that is changed by the owners with the season and the holidays. Autumn and pumpkins certainly mean end of summer. Chrysanthemums always mean end of summer. And Mallomars return to the shelves in the New York City area with the end of summer. They are taken off the shelves in the Spring because, so some say, the chocolate contains no preservatives and therefore melts in the heat of summer. When I see them back on the shelves I know summer is over. Thanks for the idea Janet of Fond of Snape. 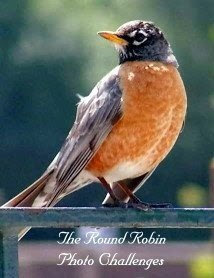 Other Round Robin Photo Challenge participants are here. Jill (new blog!) - Posted! Your photos are wonderful. I live in Florida, so we have summer almost all the time. I'm going to be looking for signs that summer is ending for my blog. Have Fun! i've never eaten a mallobar they look good. i love the colors of that shed. I hate this time of year... but maybe I'd like Mallomars. I should try them. Who'da thunk that mallomars are a sign of the end of the season. I say bring on Autumn! I'm ready!!!! Everything very true, helas ! The shed looks like mine, I should decorate it a bit, gives me some ideas ! that summer is over is demonstrated by my cats, they nap on the radiators ! I want to trade our Amish barn for that cool little shed. It is too cute and what a great was to usher in the different seasons. The mums also need to be in our yard. MAybe today I will go out and see if I can find some. Then there is the issue of the mallobars. They too lookkkkkkk great. Maybe I sould consider moving to NY. I love Fall its my fav time of year. 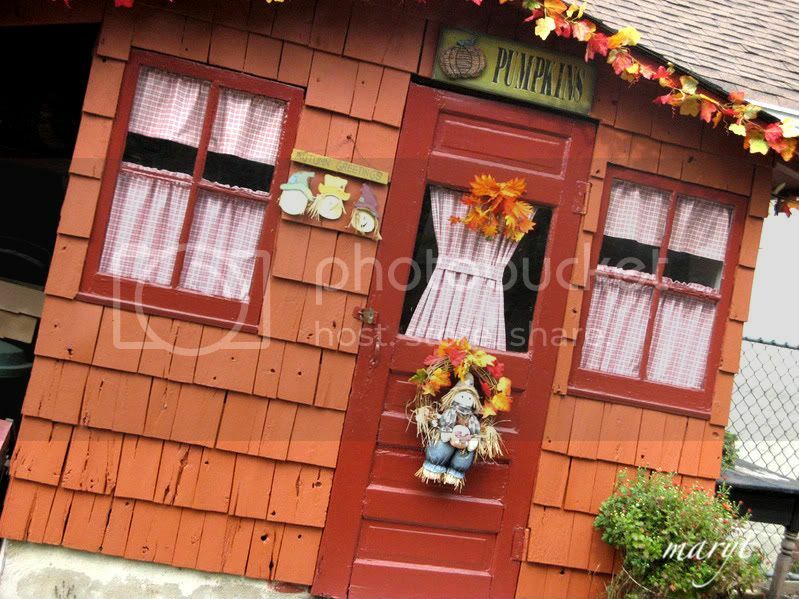 These pictures are awesome I love the shed, its so cute. I hate to see the end of summer :( It's 9C right now! Brrr! Love the shed, Mary! I enjoy looking at stuff like that but when I pass big-time decorations like that, I can't help wondering where people find the time and energy! They must really LIKE decorating, so it doesn't seem like work. All very good signs of summer's end, and autumn's beginning. I especially enjoyed seeing the little shack and the mallomars. I saw them the other day in the store also. One of those with a nice glass of cold milk would just about make the perfect snack I think. Great entry. Thanks for sharing. Now i'm craving Mallomars! 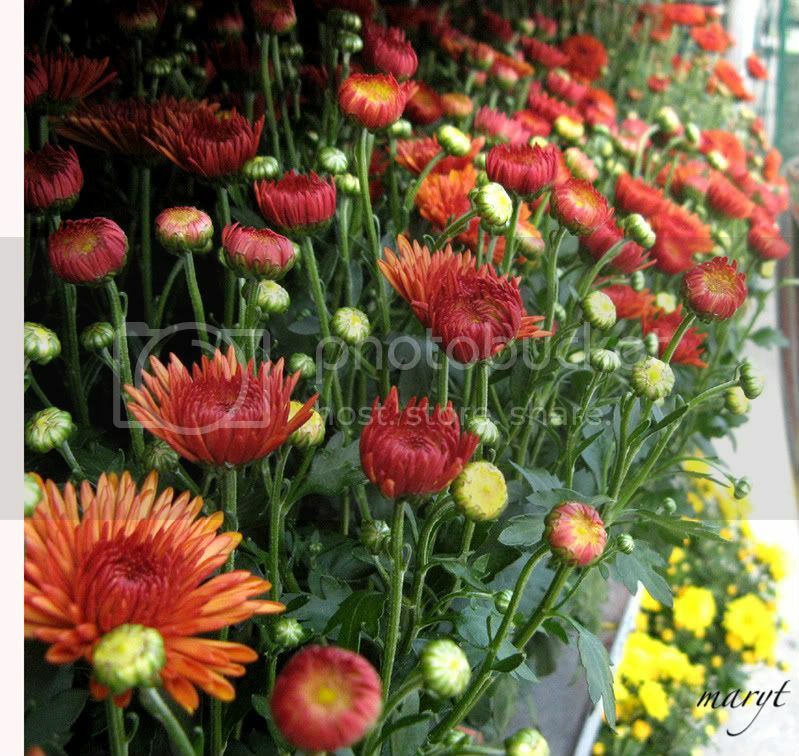 The Chrysanthemums are such a great color! Enjoy your weekend. Oops am I suppose to put all the links at the end of my post ??? How interesting that someone actually changes the decor on their shed. I like the change of the seasons and don't think I could handle living in a place that has the same weather all year long. Good thing I think that since I live in Canada, eh? I love all three of these photos, but especially the one with the Mums. On Mallomars, I'm wondering whether there's a hole in my memory, or I just didn't like them for some reason, or they weren't sold in Temple's Dairy Store in Manlius, NY, where I bought most of my candy as a kid. I don't really remember Mallomars, and yet I've read and heard much praise for them! Who would have thought mallomars would signal the end of summer -- wait! I don't think I've seen a mallomar here in SoCal. Great photos! Great Photos... I can smell Fall in the air!